Lenwood Pearson, 48, was sentenced on Monday to 40 years in prison with 20 years suspended in the death of 6-month-old Demetri Hooper. News4's Darcy Spencer reports. A Prince George's County man will spend 20 years in prison for the 2016 death of his wife's grandson. Lenwood Pearson, 48, was sentenced on Monday to 40 years in prison with 20 years suspended in the death of 6-month-old Demetri Hooper. 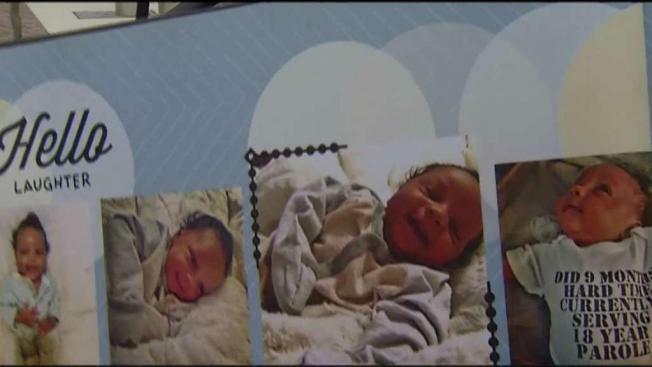 "There is no justice for an infant who is murdered, but we are satisfied that Mr. Pearson will spend a significant time in jail," Prince George's County State's Attorney Angela Alsobrooks said at a news conference on Monday. In court, Pearson turned to the family, apologized, and said it was an accident. He said when he lifted the baby up, Demetri's head hit a ceiling fan. Pearson told police Demetri fell out of his hands, hitting his head on the stove and then the floor. Prosecutors said the baby had multiple skull fractures, a fractured rib, and a broken leg. He died from his injuries two days later. On Sept. 13, 2016, Demetri's father, Leonard Hooper, was running late and asked Pearson, his mother's husband, to pick Demetri up from daycare, according to police. When the little boy's father went to Pearson's Capitol Heights, Maryland, home to pick him up, he noticed something wasn't right. "I saw my son in the car seat. I thought he was sleep," Hooper said shortly after the boy's death. But when he looked closer, he noticed his son was unresponsive. Hooper and his girlfriend, Denita Whittaker, were devastated by the death of their only child. "We lost our baby boy. Every day is a struggle," Hooper said. "It's so hard moving through life without the person that you love the most."